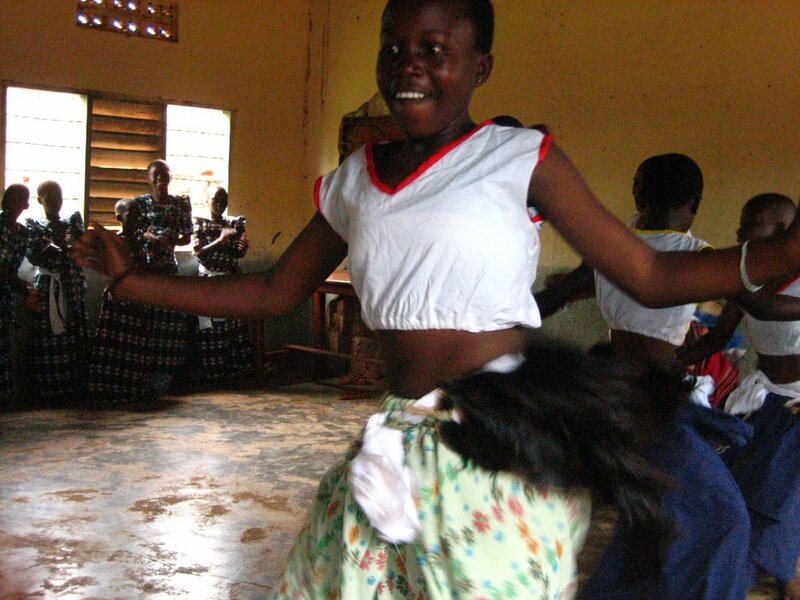 Girls at an orphanage called St. Mary Kevin in Kampala dancing their traditional ceremonial dance in honor of our coming to visit last week. The orginial rump-shakers. Never seen anything like it. And no ladies, I can't quite move like that. The things attached to them that look like skunks, are part of their traditional attire--makes the shaking look more...shake-tastic. Makes me think of that song.."my milkshake..."
They put on this whole big thing just because we came to play with them. Two girls from the states came out and brought food and toys, which was a huge hit since often the orphanage struggles to feed all the children. They have street kids from Kampala and also ones that they have found from the North. You take one look at these kids and you just want to start throwing money at them they're so cute. And they all want my address in the states.My plans of taking one home with me were foiled when I learned you have to live in Uganda for three years before adopting. Stupid adoption laws.